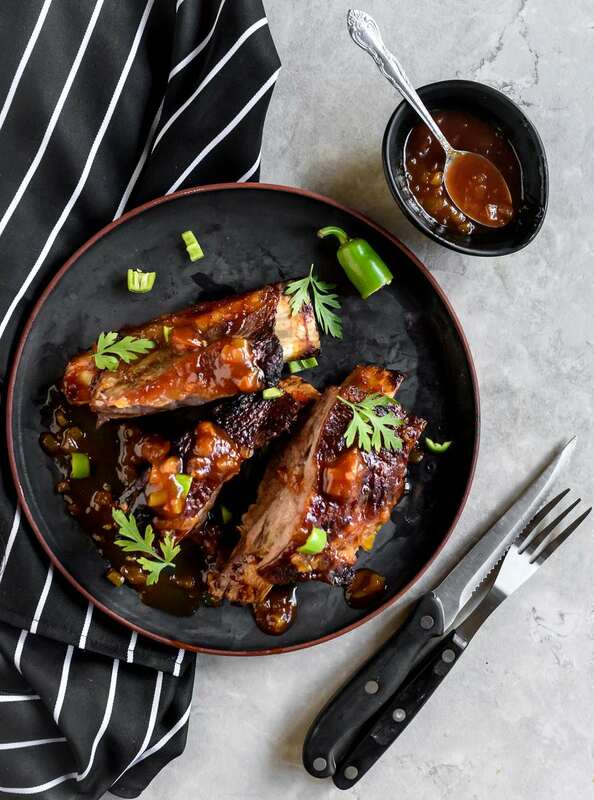 This is an easy way to prepare delicious, sticky beef ribs on your grill. Remember that the secret to indirect grilling is to make sure that the food doesn't get any direct heat at all. You will need to rotate the ribs occasionally to evenly cook them. The sauce in the recipe for is simple, yet delicious. This will quickly become one of your favorite go-to grilled beef rib recipes. Trim excess fat from beef ribs. Combine salt, pepper, and cayenne. Preheat grill and prepare for indirect grilling with a drip pan. Place ribs on grill over drip pan and close the lid. Cook for about 3 to 3 1/2 hours over a medium low, indirect heat (try to keep the temperature under 265 F/130 C). To prepare sauce combine onion, honey, ketchup, chili peppers, garlic, and mustard in a saucepan. Heat over a medium-low temperature, stirring until even and warmed through. When the ribs are nearly finished cooking, begin brushing the sauce on them until you get a thick coating. Once cooked through, remove from heat and let stand for 5 minutes. Make a little extra sauce to serve on the side.